If you are thinking about branding within a higher education context in any capacity, then you will want to listen episode 40 of FIR on Higher Education. – The best time to move forward with a brand strategy review. – How to get buy-in throughout the institution. – Best practice advice on conducting research as part of a brand strategy review. – Making sense of the data collected and building consensus on changes to implement. – Ensuring branding is cascaded throughout an institution. In our reports section, I share findings from a separate study on how Chief Marketing Officers are thinking about the future. The analysis from these two studies and the tips from Professor Hayes will certainly provide inspiration on how to think through branding at your institution. 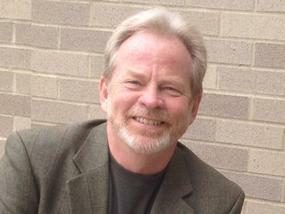 Tom Hayes is Chair and Professor of Marketing at Xavier University where he has taught for the last 38 years. He has also previously served as Chair of the Department for 13 years and as the Director of Institutional Advancement. He is presently Vice-president and Partner of Simpson-Scarborough, a full service marketing consulting agency for institutions of higher education. He was the founder of the American Marketing Association’s Symposium on the Marketing of Higher Education and is editor of The Journal of Marketing for Higher Education. He had a book entitled Marketing Professional Services, co-authored with Philip Kotler, published in January 2001. He is a nationally recognized expert in services marketing, the marketing of higher education, and the development of ideas for new products and services, and consults in these areas on a national and international basis.